On Tuesday November 8, 2016, Americans will make the most important choice in an election since the founding of the Republic. As a national security organization, UTT has an obligation to lay out a clear understanding of the choice for President and Commander in Chief of these United States of America. The Democrat party platform as well as information made public by Project Veritas, Wikileaks, and other sources reveals the DNC is pushing socialist policies which, historically, have only brought about the destruction of liberty and free market systems. The DNC is involved in systemic voter fraud, collusion with nearly all of the major media outlets, and instigating violence against the Republican party and its candidate. 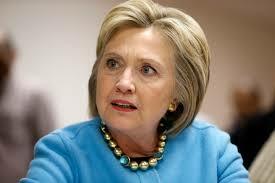 The Democrat candidate, Mrs. Clinton, has a long track record of national security failures including: directly supporting Al Qaeda and the Muslim Brotherhood in Libya and Syria as Secretary of State; enabling the penetration of our government by Muslim Brotherhood operatives including her closest ally Huma Abedin; as well as lying to the American people about the investigation by the FBI of her mishandling of classified information. By taking numerous unsecure communication devices to foreign countries and receiving Top Secret (Special Access Program) information while there, Mrs. Clinton necessarily provided foreign governments the TS-SAP data in violation of U.S. federal law. All government employees at that level know foreign governments will aggressively attack electronic communications. Mrs. Clinton either did not care or intentionally allowed it nonetheless. Either way her actions violated several federal laws. It also raises questions of treason and espionage in that the Clinton Foundation receives tens of millions of dollars from the very nations who are likely recipients of our most sensitive information. There is always a quid pro quo. Mrs. Clinton worked with Saul Alinsky and taught his Rules for Radicals, a book about Marxist Revolutionary ideology dedicated to Satan, and she and the DNC are working directly with and supporting revolutionary groups like Black Lives Matter. There is no evidence she will not continue the current policies of this White House and Department of Justice of using the full force of the federal government to step on local and state law enforcement agencies, as well as local governments, until they subordinate themselves to federal demands – even and especially when those demands are unconstitutional. The Republican candidate is Donald Trump. Mr. Trump defends the free-market system, the Republican form of government, and the national sovereignty of the United States. 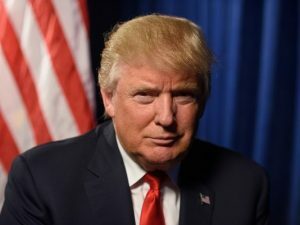 Despite being rough around the edges and unable to articulate in detail some of the policies he will implement, he is clear about defending liberty, and destroying the corrupt Republican and Democrat systems and a bloated and ineffective federal government which are all fighting against him. The same Republican and Democrat leaders who sip cocktails in Georgetown (Washington, DC) together and feign displeasure with one another on the floor of the house or in the media, are in for a rough Wednesday morning if Mr. Trump is elected. While many who may vote for Mr. Trump may not feel that a Trump victory will be their victory, a defeat for Mr. Trump, will be a defeat for all of us. This election is about liberty versus tyranny. It is about beginning to turn the tide towards reclaiming our inalienable rights of life, liberty, property, and all the others. This election is about the survival of the Republic. b) fraudulent representations involving the purpose & cost relevant to contextual expenditures by the U.S. Treasury ($400,000 of which he pocketed as a consultant for Health & Human Services). c) RICO implications applicable to interstate fraud under false pretenses, for which in addition to scamming the treasury, he “cleaned the contextual clocks” of: Wisconsin; Minnesota; West Virginia; and Michigan at a respective cost to their citizens of: $400,000; $329,000; $129,500; and $481,050. The $1,739,550 MIT “genius” Jonathon Gruber banked, since the “Affordable Care Act”, much like a gun or a knife, in the lingo of law-enforcement, is nothing more than a diabolical “implement of crime” I.e. to effectively deny critical health care to the aged unable to afford its burgeoning cost, and who will thus die as the result of said scheme, will thus also vacate the Social Security rolls by the thousands, which is the end game Gruber was after. I.e. “eliminate the cost to the government of both health care for the aged & Social Security benefits, all together, then shift the savings derived to the support of illegals & targeted voters”. I.e., think “holocaust for the aged”. And lest you forget, Pollyanna, watch your back and remember, “Evil hides in the mind, not on the face”. or so said “Voltaire”.